MediaTek MT6592 true Octa-Core cpu published in Winter of 2013, and the MT6592 must be the bright spot as 2014, NO.1 mobile phones will also be join this Octa-Core phone club. According to news sources inside the phone NO.1, NO.1 recently released a blockbuster product NO.1 S7, the product will be paired with the latest MT 6592 Octa-Core processor, 2GB RAM. 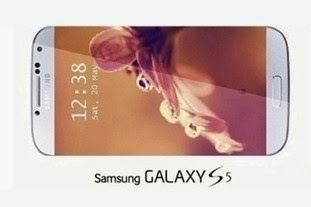 Besides equipped with Octa-Core processor the NO.1 phone reference design in the appearance 1:1 clone Samsung galaxy s5. But S7 is equipped with 8-core. It makes everyone Focus on this NO.1 S7 phone. Messages also revealed, NO.1 S7 stack using 13 million pixel camera, front camera parameters currently still not confirmed, but according to the style of NO.1 phone, it should be 500W pixels. Camera also joined skin and other landscaping features photographs. In addition NO.1 S7 will join Dolby sound, NFC and other functions.